Premade filters, however good, are not everybody’s cup of tea. Some photographers don’t like at all the notion of applying ready-to-use filters, such as those offered by the greatest majority of iPhone apps that dramatically change the looks of their original photos; some others cannot be bothered to apply effects over and over just to get close to the initial result they wanted to achieve. Photo Style is especially conceived to please these photographers, but it can be a handy processing instrument also to others. Along the same lines of other famous apps like Mill Colour, Photo Style presents the user with basic tools to alter photos in their essential components. You have just a few presets which you can use at first, but you can enlarge the collection by saving your own presets for later use. You load the image into the work area. By tapping three times you can rotate the image by 90 degrees; you can crop it; you can apply a preset. If no preset suits you, by playing with sliders and color wheels, you can create custom effects, which you can also name and save. At this point you are done and you can proceed to save the photo to the camera roll. Alterations can be made to single parameters of the image, since shadows, midtones and highlights are handled separately. You can switch on/off the unfiltered image at any time for reference. However, for a full preview that also includes any cropping, you have to rely on the “Preview” button, leading to a screen from where no changes can be applied — but you can always go back to editing if you need to make further adjustments or, in the case you want to start over, you can reset. From the preview area you can also save. 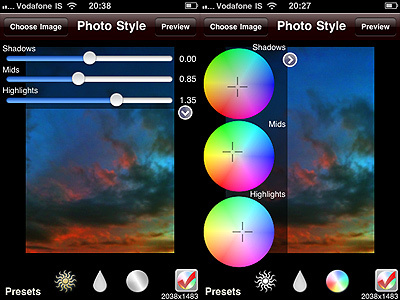 Photo Style is a little no-frills app that operates at the core of photo editing. You don’t necessarily need to have dozens of filters from the beginning, because by playing with values of individual aspects of your photos, such as shadows/highlights or tint adjustment, you can create your own. Photo Style won’t probably please much people that are more into heavy post-processing or fancy effects, but will perhaps make a difference in the app collection of users willing to have a little more control over their photos. I got this after reading. It’s good. I only wish it had a few more features, than it would be perfect. First off thanks for taking the time to review our app! Martin mentioned in his comment that he would like a few more features…if you could please tell me what you were thinking about I can take that back to our dev guys to try and implement in an upcoming release. You can always tell an expert! Thanks for cotnrbituing. thanks for taking interest in my post! I was thinking about the current rotate, which is kind of limited in use as it is right now.What if you need to straighten the photo? Maybe something letting you freely rotate the image? 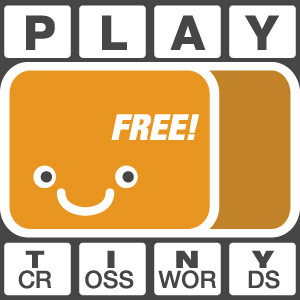 Anyway I repeat, I like your app a lot. It’s almost perfect. It’s one of the few I currently use on the iPhone because I dislike all those cheap looking premade filters out there!